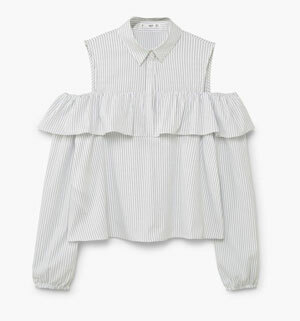 There’s one massive summer trend that we’re more than happy to get on board with this year – off-the-shoulder and cold-shoulder tops. 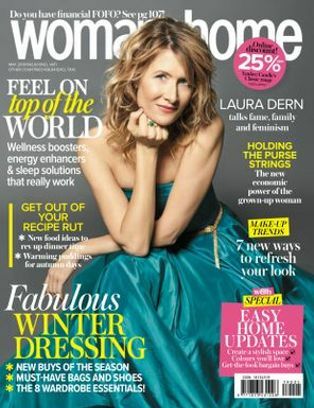 Not only is it the favourite of fashion’s elite, but it’s flattering for all shapes and sizes – our favourite kind of style! 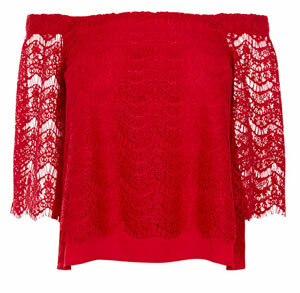 Make a statement with this bright red lace Bardot top. Pair it with some light denim jeans and small silver jewellery and you’re ready for a night out. 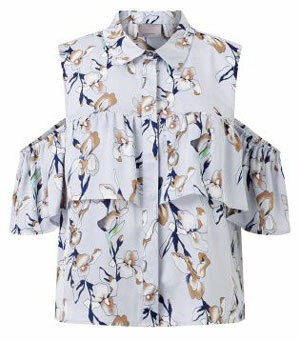 Keep it classy with this smart collared blouse. Make the outfit complete with some red lipstick and some black, straight cropped jeans. 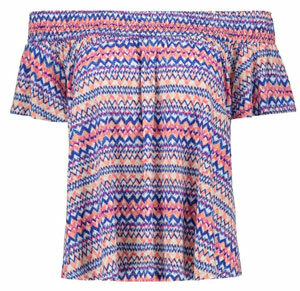 Be bright and bold in this colourful gypsy off- the- shoulder top. Perfect for a relaxing day at home with some denim shorts and a pair of sunnies. Need a small change in your wardrobe? 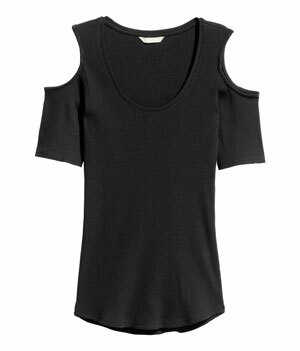 This top is perfect for those who want to mix things up with an open shoulder top and still stay comfortable. Add some silver necklaces and a pair shorts to complete the look. 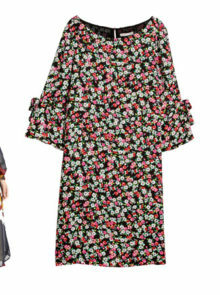 If darker hues are more ‘you’, why not try a floral style that will see you through summer and well into autumn? 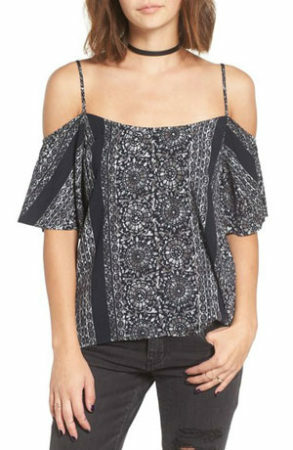 This ditzy-style Bardot top looks gorgeous paired with the texture of the moment – suede. Choose accessories or a skirt to prove you’re in the know when it comes to next season’s trends. 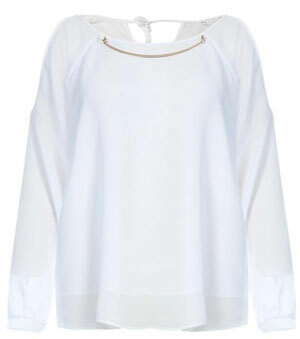 A classic white Bardot top can be this summer’s replacement for your trusty white shirt or t-shirt. Choose a style with some small but sleek splashes of gold to contrast against your summer tan perfectly. 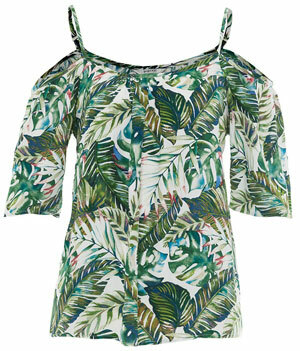 We’re in love with this Vero Moda cold-shoulder blouse. The floral pattern matching with the light blue is a perfect contrast. Pair it with some white jeans and gold bracelets for the complete look. 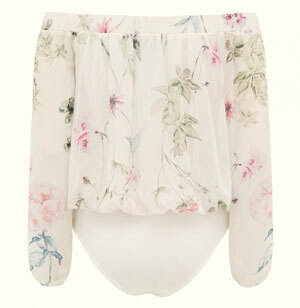 If you’re worried about keeping your top in place, opt for a style with straps as well as off-shoulder detailing. 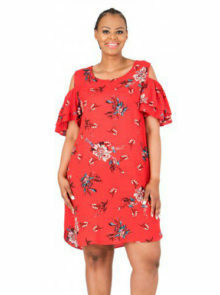 This bright patterned elasticated top is loose and flowing, for optimum comfort and wearability. 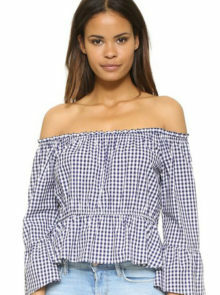 For an everyday, loose-fitting top, go for this off the shoulder print from Nordstrom. Pair this beautifully draped top with a pair of black jeans and accessorise with a sleek choker.